Operatives of the Economic and Financial Crimes Commission (EFCC) on Wednesday arrested one Bashir Abdu at the Malam Aminu Kano International Airport with 130,000 dollars in cash. 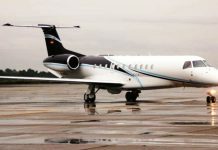 A statement signed by the Commission’s spokesman, Mr Wilson Uwujaren, which was made available to newsmen in Lagos, alleged that the suspect was a Nigerian resident in Dubai. 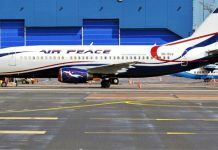 The statement said the suspect was on board Egypt Air when he was arrested by the EFCC for failing to declare the 130,000 dollars on him. “He only declared the gold bars with him and 30,000 Saudi Riyals,’’ it alleged. The statement said that arrangements had been concluded to arraign the suspect under Section 12 of the Foreign Exchange (Monitoring and Miscellaneous Provisions) Act 2004 and Section 2 sub-Section (5) of the Money Laundering Act 2011. It recalled that, a week ago, the operatives had arrested Aminu Lamido, the eldest son of Gov. Sule Lamido of Jigawa at the same airport while on his way to Cairo, Egypt, for alleged money laundering. “Lamido, who is currently on administrative bail, was arrested during security checks as he prepared to board an Egypt Air flight to Cairo. “His arrest followed the discovery that he allegedly declared only 10,000 dollars as being in his possession, to the Nigerian Customs at the airport. “A physical search by operatives of the EFCC, however, found that he had tucked away another 40,000 dollars, making a total of 50,000 dollars,’’ the statement said.